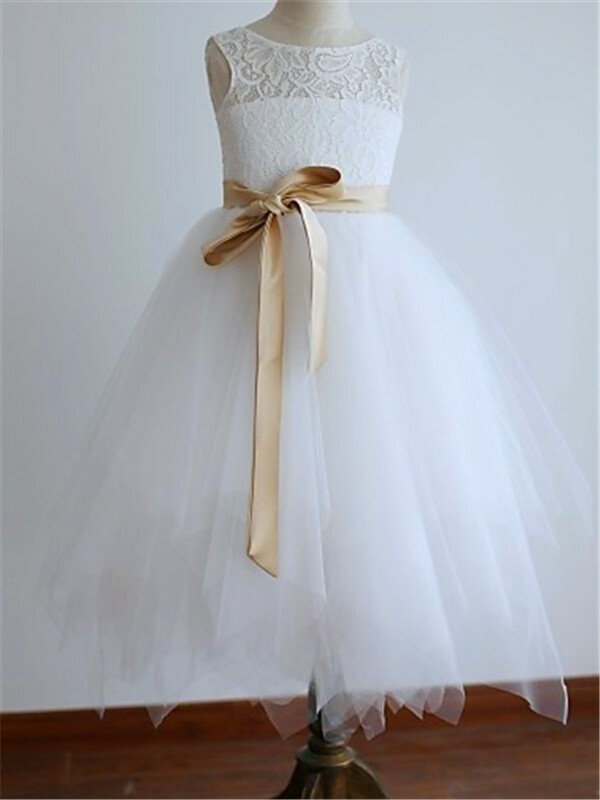 Buy White Tulle Scoop A-line/Princess Ankle-Length Flower Girl Dresses in Flower Girl Dresses - Wedding Party Dresses at Bonnyin.ca with low price and high quality. 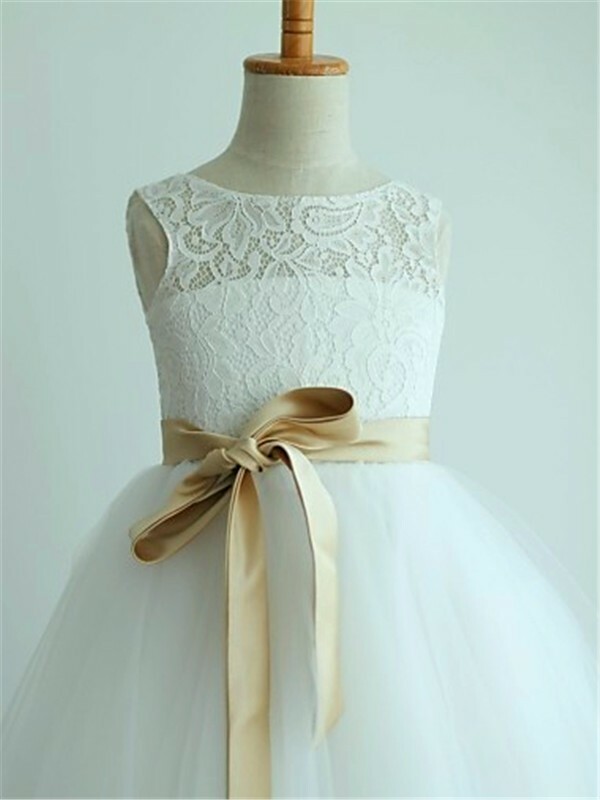 Dress is beautiful on my daughter. I ordered the custom size option and was very glad I did. It fits her great. She told me she feels like a princess. Would have liked for the bust lining to have been tacked down. Overall great experience- would definitely recommend. 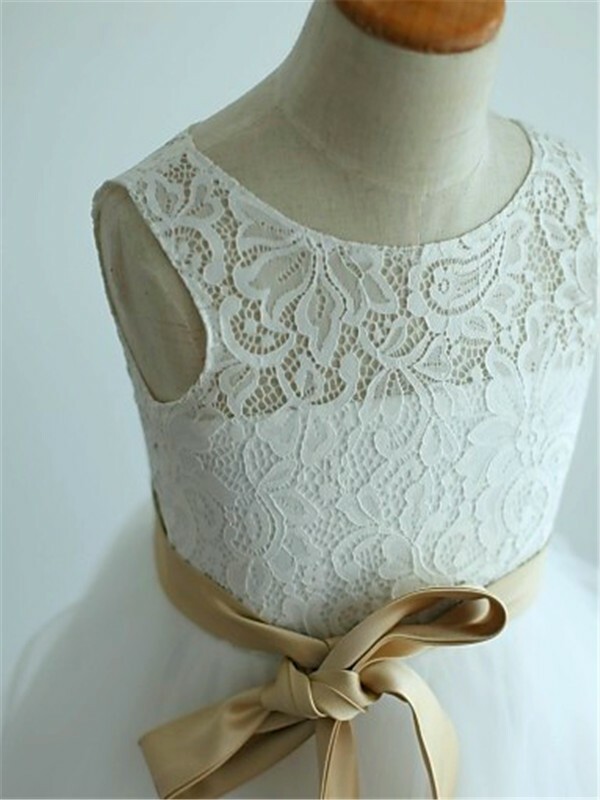 This dress is beautiful! Very well made for the price.